Wind of several former UMNO MPs making U turn to retun to UMNO had reached this blogger’s attention. Since the gun was already trained at Dato Seri Hishamuddin for working hard to get UMNO MPs to jump ship and his devious game during party election despite being too coward to run, it was held back. The timing was not appropriate and important messages need to get across first. Hisham was the person orchestrating it for Tun Dr Mahathir and Dato Seri Azmin. TMJ confirmed him as a snake. His last effort to remain relevant is to position himself as UMNO Sec-Gen. Since Dato Najib published it in Twitter, it is no more secret. But on the unity bit, it is for show. It has to be treated delicately because many members at the grassroot are angry and need be pacified. It may not be enough as there will be demand for Hisham, power broker and the like crucified. Loyalist and former state Johor assemblyman, Datuk Tengku Putra Haron Aminurrashid Tengku Hamid Jumat told media a stern warning that UMNO is not a “homestay” for temporary rent. Hisham lost the trust of the 42 MPs he gathered at his house. The game was over when Ku Nan was charged for a measly RM3 million. PKR and DAP also pressured PPBM from going against their words to accept UMNO MPs – be it current or former MPs – to jump ship. The two that made their move to turn independent and jump over to PPBM will be facing lawsuit. There is legally legitimate expectation to do so. Where DAP only talked to threaten lawsuit, UMNO will do it and set the legal precedent. 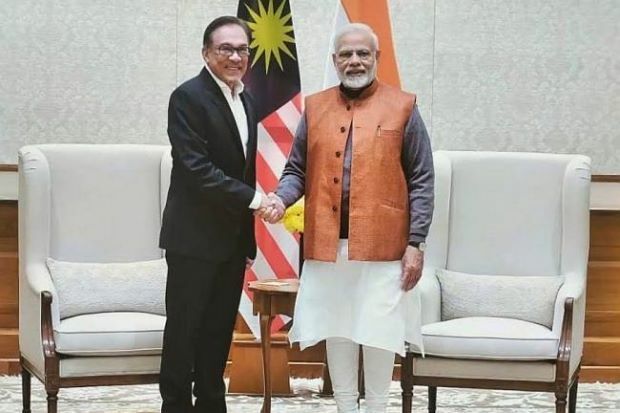 It is sending a message to Tun Daim, Tan Sri Muhyiddin and even UMNO Supreme Council member, Dato Dr Zambery Kadir who are linked to the two. 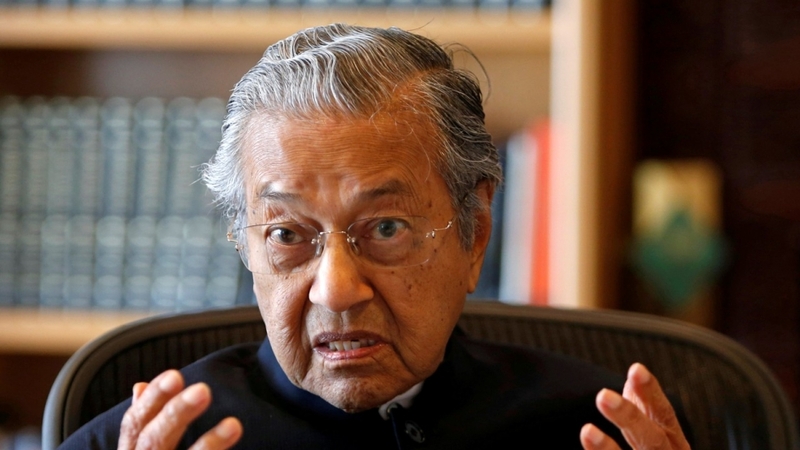 Daim-linked, Tok Pa could be spared to allow him be new Felda Chairman. Or Tan Sri Annuar Musa is trying to protect his fellow puok Kelate. It means the talk of Hamzah Zainuddin being seen together with Reezal Merican and Yahya Jalil could be them convincing Hamzah to return. Reezal is heard to start the new set of exodus to PPBM soon. Social media is talking of KJ making the same move and likely to join Rafizi and Nurul in PKR. Is he willing to face the court? The psywar by Tun Mahathir and Dato Abdul Kadir Jasin failed. It began to fail when Mahathir with arrogance openly rejected Dato Seri Dr Ahmad Zahid Hamidi. It left him with no other option but to talk to Anwar. Maybe it was Anwar who approached him instead. Anwar may now have the numbers. Assuming there is still those wanting to save their skin from MACC like Tok Pa, the number is not as large as claimed by Kadir Jasin. Hope he be Felda Chairman instead of Tok Pa and put into action where his keyboard was. He will be forced by Lim Guan Eng to sell Felda assets. PPBM-led coalition, Gabungan Perpaduan Nasional Malaysia does not have the numbers and could not get started. Not only the resigned UMNO members in Semenanjong are in limbo, but the Warisan’s opposition to UMNO Sabah joining PPBM put them in limbo too. Most laughable are the Division Heads who left together. The game is not about them but only MPs. An analyst suggested all join Warisan and merge with PPBM like USNO and UMNO in the past. 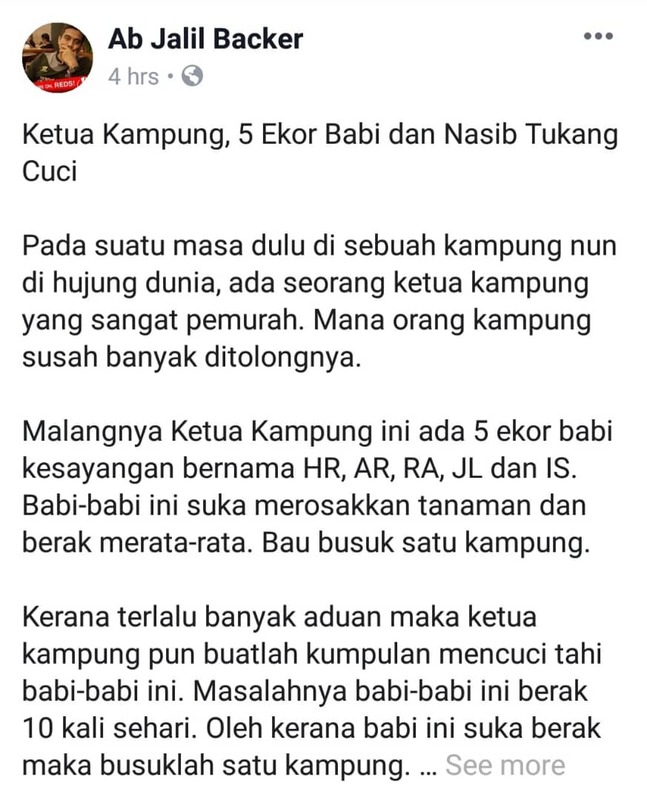 Apa punya bodoh ahli politik Sabah. 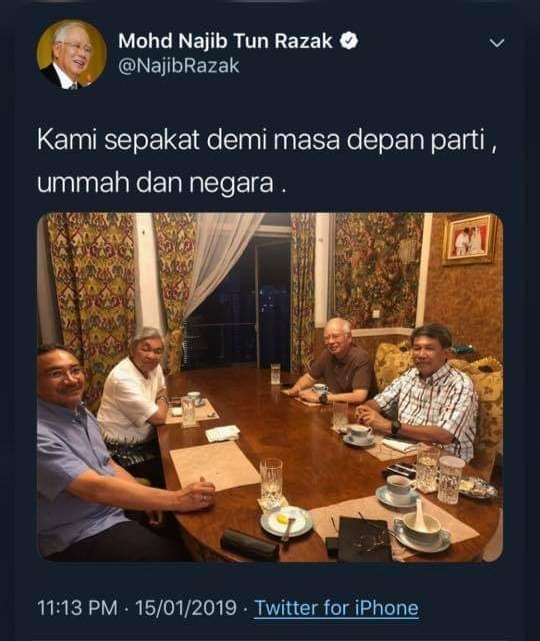 Berapa kali mahu kena tipu dengan Mahathir? PPBM has declared war on DAP. And, Azmin Ali has declared war on Anwar Ibrahim. 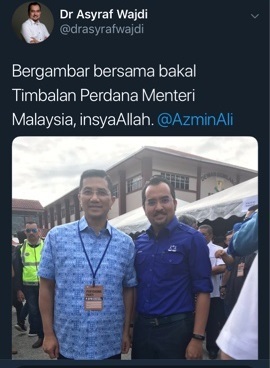 The bridge between Anwar and Azmin is as good as broken and not Rais Yatim’s burnt bridge. And Azmin is potrayed by Joceline Tan as a leader capable to be PM#8. Trustworthy not sure. A former UMNO Minister also felt that only Azmin could succeed Mahathir. Will DAP accept Azmin? Whether Anwar Ibrahim likes it or not, he has to make his move now. He has already given the ultimatum – by February or something to happen in March. Benarkah Bahagian Penyelidikan MEIO, KP Datuk Ahmad Shublee dan Mohamad Azri Mokhtar terlibat dalam Gerakan menjatuhkan #anwaribrahim dibawah arahan #Mahathir – isu #ArielleIman. There is no way of verifying information of the intel world, except by the players. It is not to be taken seriously and could even be fabricated. 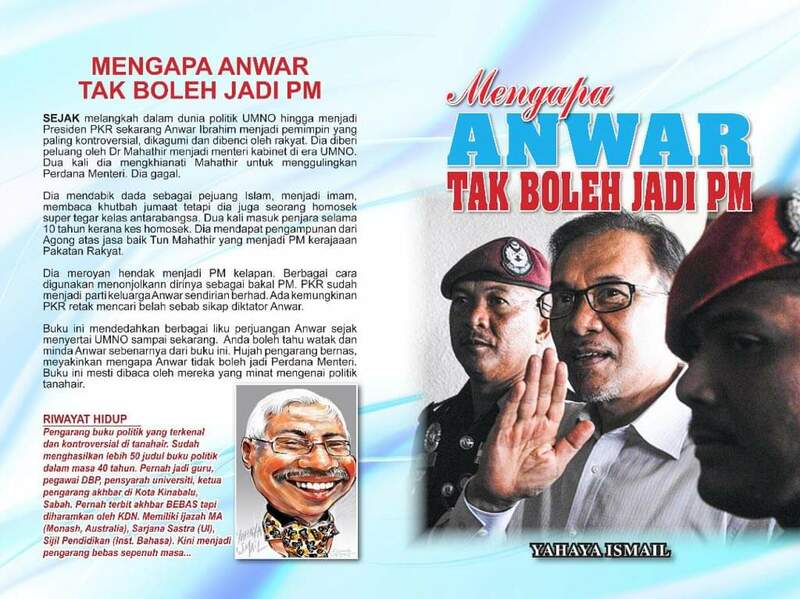 But, there have been serious orchestrated moves toward Anwar to block his return at the PD by-election. The expose of another young man with smooth forehead. The suspicion of invisible hands pressuring His Highness the Sultan of Kelantan to abdicate. Even late Khalid Jefri’s 50 Dalil is alive and well to make a return in another Yahya Ismail political conspiracy book. Same MO … how stupid could that be. However, never assume Mahathir is stupid. Zuraidah Kamaruddin’s recent statement to repeat the attack on PKR’s leadership shows it is not subsiding despite her denial it is not meant for Anwar. Permatang Pauh’s PAN leader has called on Datin Seri Dr Wan Azizah to vacate her position as Deputy Prime Minister for Anwar to fill. It was in September 2018 that Wan Azizah told the media that she will vacate the position when it is time and Anwar has got in as MP. 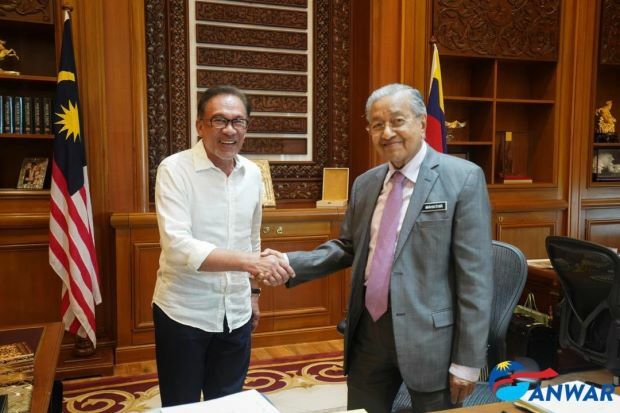 If he does not make his move, Anwar will be the longest PM-in-waiting and maybe in perpetuity. Tengku Abdullah is no more crown prince but Sultan Abdullah. Maybe by January 24, His Majesty will be Agong. For UMNO leaders, supporters and the recently hurt cybertroopers, stay cool, step aside and get pop corns to watch the drama unfolding. Najib may have got carried away in his speech but it is not the first time he said the exact words. The first time he said it was meant for cybertroopers who attacked the then BN government instead of defending. And, true he made the mistake of keeping too many babis that the folks had to clean-up. The FBer is a writer and not a cybertrooper. He may have missed many more babi-s: OO, HAH, MMMS, PZ, and so on. However, the truth is some cybertroopers are a waste of resources. They were attacking each other, shooting our own feet, and the manner they attacked the then opposition left poor taste to the voters thus hardly swing voters to BN side. There were too many self-interest driven spicy bloggers and facebookers seeking unnecessary publicity, bodek-ing leaders, and became guns-for-hire without a clear moral stance except money for money sake. Just chill it and wait out to see what will Mahathir do since Anwar is one of the two he will never allow to be PM, the other being is Ku Li. Money will be splurged and a Facebooker claimed to have seen documents that PPBM or their agents are bringing in the amount of TT. And, it is not Tommy Thomas or Bank remittance. Mahathir didn’t play humble and victim to DAP for nothing. Do not be surprise he will agree to ICERD. The convention in Geneva is coming up in March-April.